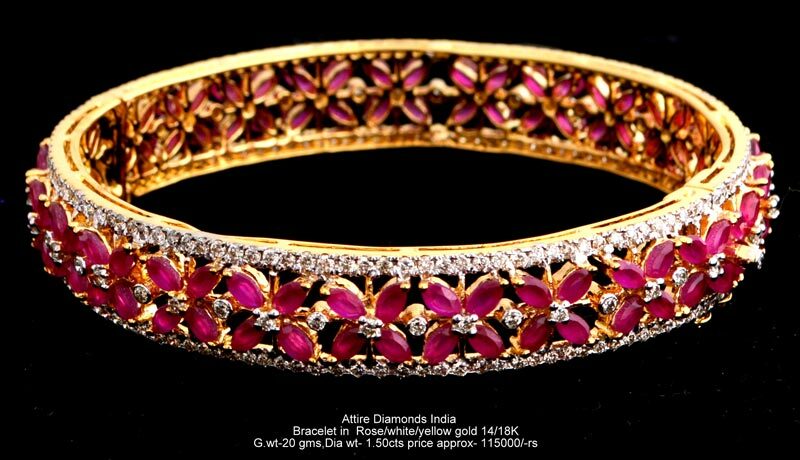 Adorn yourself with an enticing array of Diamond Bracelets, which is designed by our experienced designers. The Diamond Bracelets are designed keeping in mind the taste of the buyers. Our Diamond Bracelets are highly appreciated for their unique cut work, excellent polishing and elegant appeal. Further, we offer Diamond Bracelets in varied sizes and design styles.